Are there Six Secrets to Soybean Success? Our mission: Increase Illinois soybean yields by 25% by the year 2020 through identifying optimal combinations of agronomic management practices for soybean yield – ‘The Six Secrets of Soybean Success’. Join Dr. Fred Below as he reviews five years of research on “The Six Secrets of Soybean Success," a concept for producing high-yield soybeans which he evaluated in 2012, 2013, 2014, 2015 and 2016. Six Secrets demonstrates how growers can put technologies together for increasing soybean yields through intensive crop management. In addition, Dr. Below will review some of his work on when soybeans need supplemental nitrogen. 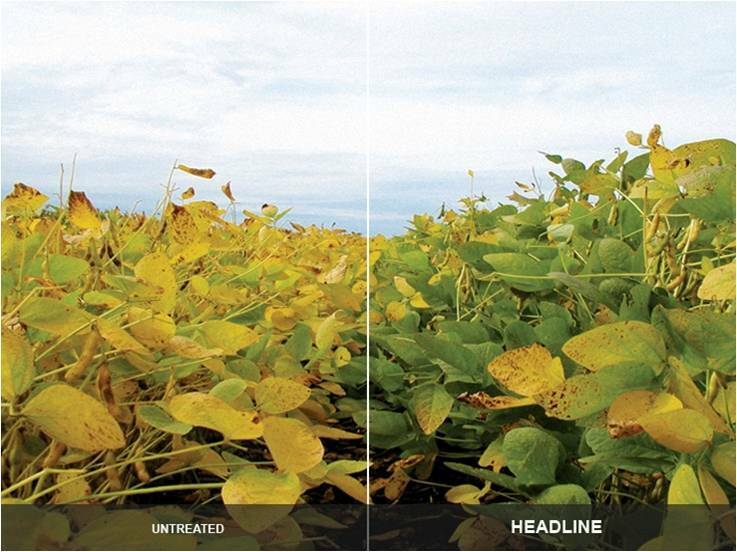 View results of the contributions of these Six secrets to soybean yield. We cannot control the weather, but it influences the success of each of our management factors. On average over the past 20-years, fluctuating weather conditions have resulted in a 0.7 bushel/ acre deviation from the expected trend-line yield for Illinois. A typical fertilizer program for soybean might involve fertilizing the previous year’s corn crop with an equivalent of two years of fertilizer. A 230 bushel corn yield, however, removes nearly 100 lb P2O5 from every acre. This doesn’t leave much for the soybean crop in the second year! Photos courtesy of Gutiérrez Boem et al., University of Buenos Aires, Argentina. 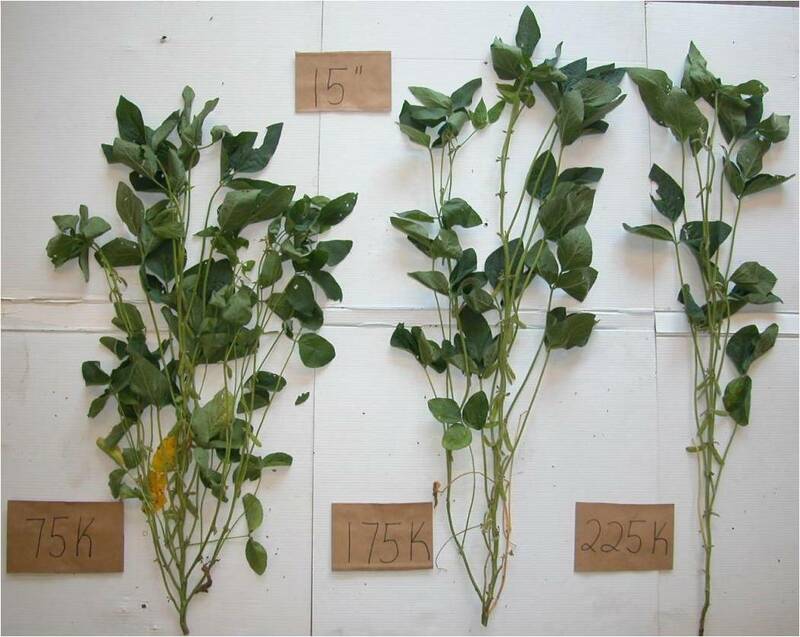 Soybean varieties of the same maturity group can vary in yield by as much as 20 bushels/acre when grown at the same location (University of Illinois Variety Testing, 2010). Some of this variation is due to differences in susceptibility to diseases like white mold (see photo below). Photo courtesy of Erika Parker, Monsanto Company. 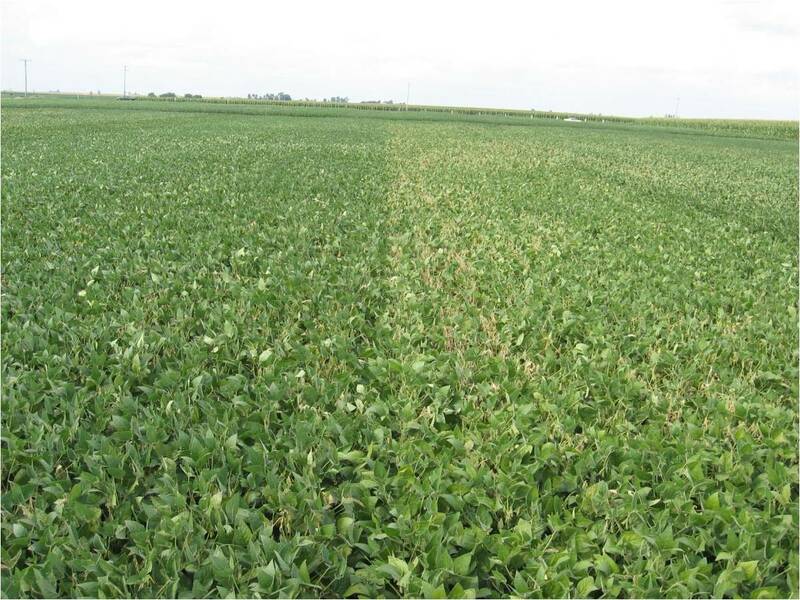 Foliar fungicides control disease and may have other growth and yield enhancing effects on the soybean plant. Preserving the photosynthetic activity of leaves throughout pod fill is critical to achieving the potential contribution of each seed to overall yield. Yield potential is greatest on the day that the seeds are planted. 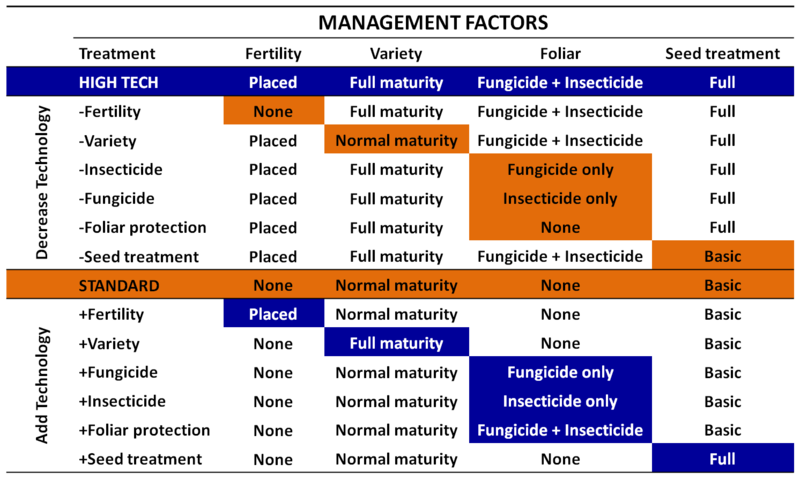 Seed treatments (insecticides, fungicides, nematicides, and growth promoters) can promote enhanced early season emergence and vigor, especially in stressful environments. When planted at a reduced seeding rate, narrow rows (e.g., 15-inches) allow for more space between plants within a row and increased branching. Narrow rows, however, can also promote more disease pressure due to reduced air circulation. Photo courtesy of Jason DeBruin, Pioneer Hi-Bred. What do each of these factors contribute to overall soybean yield? If average soybean yields are to be increased by 25% in Illinois, do the five factors that we can manage each contribute 5%? 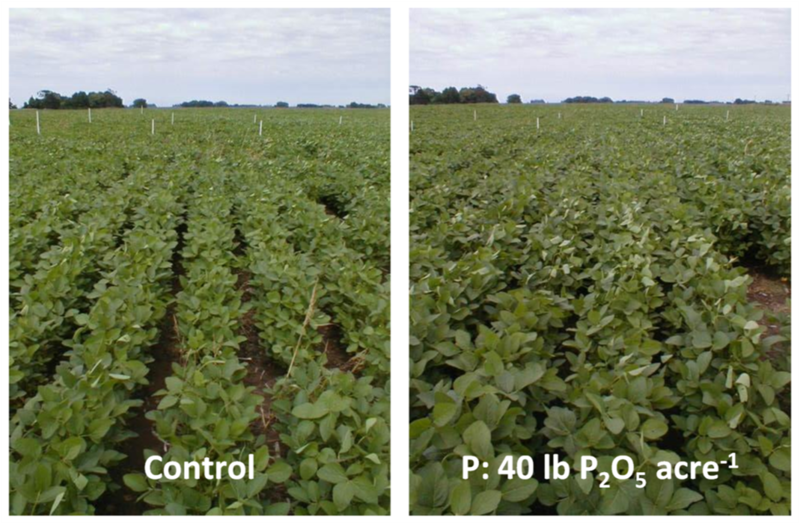 Can larger yield gains be achieved by combining the factors into a high-yield soybean package? We are measuring the contribution of each management factor to soybean yield using an omission plot design (see above) in both 20-inch and 30-inch rows. Management trials were initiated at four locations across Illinois in 2012, and continued at two to three locations in subsequent years. These trials use a range of varieties, foliar crop protection products, and seed treatments. 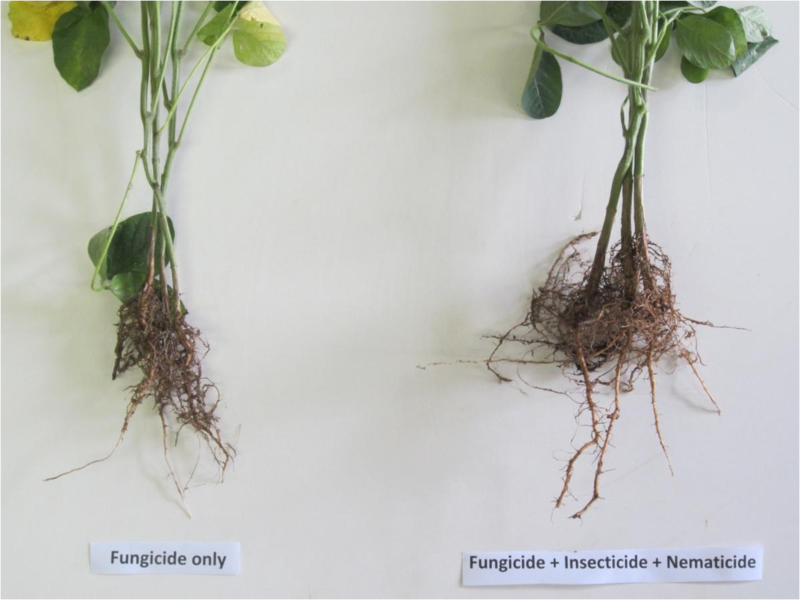 View results of the contributions of these factors to soybean yield.